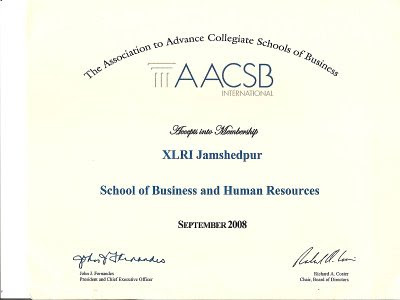 The US-Based international accreditation agency The Association of Advance Collegiate Schools of Business (AACSB) has accepted XLRI as a Member Institution. The membership is the first step towards the accreditation process. 555 institutes have been accredited by AACSB worldwide. No Indian business-school has been awarded accreditation so far.